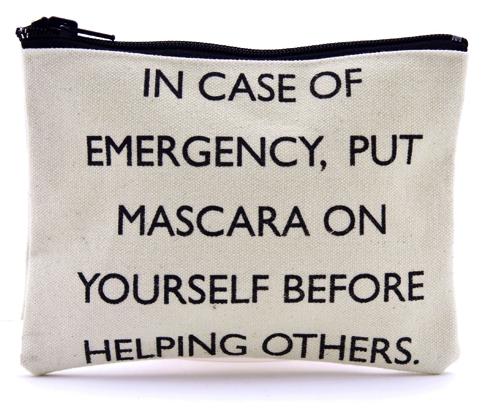 My lovely colleague Katrin Roth from annabelle’s beauty blog (a must-read) spotted me recently at a press conference retouching my makeup and fell immediately in love with my little emergency mascara pouch. Today, she wrote a very funny post about it (Thank you!). This bag was a souvenir from a dear friend after her recent trip to the US. It is from Californian designer Pamela Barsky, who creates all sorts of fun accessories.